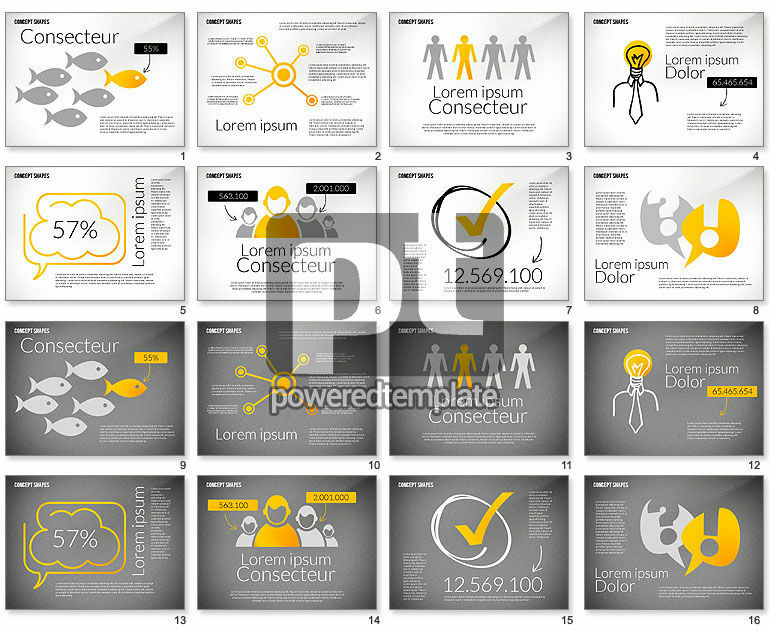 These presentation slides 46294 are complete compatible with Google Slides. Simple download PPTX and open the template in Google Slides. Meet this magnificent modern template made in a hand drawn style. It has various items, such as fish, speech bubbles, human silhouettes, a body with the idea light bulb and so on. Also there are two kinds of the background. This awesome theme is about leadership and new bright ideas, working in a team and success, so it can be used in various spheres of business, media, networking or education.